General Motors has outlined a restructuring plan that would cut its Canadian workforce to 7,000 and seek as much as $7 billion from the federal and Ontario governments. People walk through the parking lot at the General Motors Canada Oshawa Car Assembly Plant in Oshawa, Ont., on Tuesday. ((Nathan Denette/Canadian Press))General Motors has outlined a restructuring plan that would cut its Canadian workforce to 7,000 and seek as much as $7 billion from the federal and Ontario governments, while Chrysler is requesting around $2.8 billion in aid. GM didn't specify how much it will ask for, but Reuters quoted federal Industry Minister Tony Clement as saying the company is asking for between $6 and $7 billion. GM expects there will be no further plant closures in Canada, but it plans to slash executive salaries by 10 per cent, cut benefits to hourly employees and build new models at its Ontario plants. Under the plan, GM's Canadian workforce — which numbered 20,000 in 2005 and currently stands at 12,500 — would be pared down to 7,000 by 2010. Clement said Friday he's encouraged that GM is committed to not closing any more Canadian plants. "This is an existential moment for the Canadian car industry. Everyone needs to come to the table. Executives have to cut their salaries and costs," he said. "What that means specifically, I'm leaving up to the automakers. We're in constant contact with the union and the automakers. We're following their discussions. The only thing I've said to both of them is Canada has to be cost-competitive." GM Canada had already been offered $3 billion by the Ontario and federal governments, but it later declined that aid, saying it didn't need it immediately. GM wants the Canadian Auto Workers agreement to achieve long-term cost reductions, including pensions. "Pensions are important for General Motors Canada, because we've been here for 100 years and we have more than three retirees for every active worker. That ratio is actually increasing and will actually move up to five to one, " said David Paterson, GM Canada's vice-president of corporate and environmental affairs. "We really need to get at those disproportionate legacy costs that our competitors do not share and find ways to stop the growth in those costs." CAW president Ken Lewenza stressed that pensions must be protected. 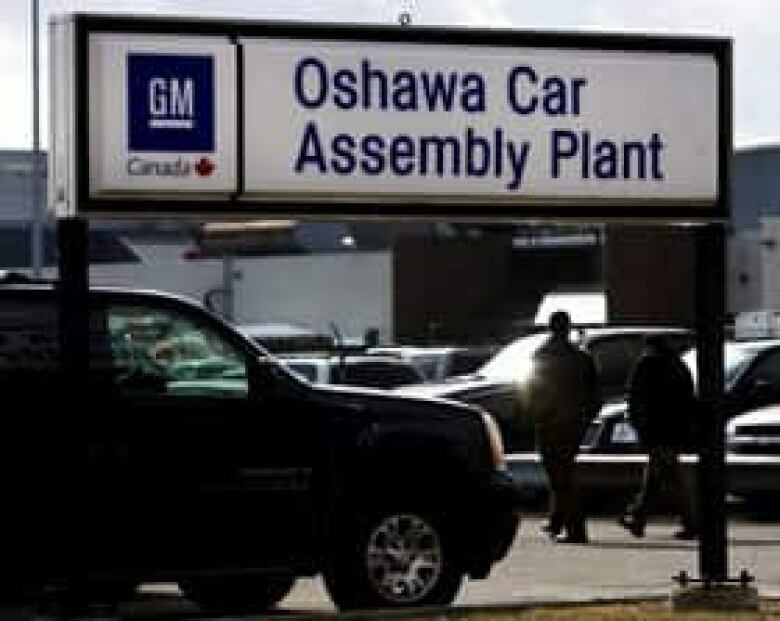 "The GM plan was underfunded even when it was profitable," he said at a Friday evening news conference in Toronto. "I don’t think it’s necessary to go into the pockets of our pensioners. "Our pensioners deserve the respect that they received when they signed on to retire." Clement said the companies have to do the math themselves. "But we're not bailing out pension plans, " he said. "Let me be crystal clear on that." Clement said he would need to see specifics before he could commit any taxpayers' money. "We understand the severity of the auto industry," said Chris Buckley, head of the local in Oshawa, Ont. "We understand what it means to be competitive in nature. So we’ll do what we can in a responsible manner in order to protect our members' interests and our retirees' interests." Even though Friday was the deadline for the companies to put in their restructuring plans, Chrysler had no Canada-specific plan ready to submit. Instead, the company simply resubmitted the plan offered to Washington on Tuesday. Chrysler CEO Reid Bigland said in a letter to Clement and Ontario Economic Development Minister Michael Bryant that the plan submitted to the U.S. Treasury was an integrated one that includes Canadian operations. Chrysler requested aid from the federal and provincial governments proportionate to the $9 billion US asked of Washington. That would be around $2.8 billion Cdn. Benoît Charette, editor of l'Annuel de L'Automobile, criticized GM and Chrysler's plans for a lack of specifics. "What this tells me today is they're not ready," he told CBC News from Montreal. "They improvised a lot but they need money to continue the improvisation. "They haven't done their work, and today, basically what they presented was a pile of general stuff and we're going nowhere with this." Auto analyst Tony Faria with the University of Windsor expected most of the job losses set for Canada have already been announced. "But long-term, certainly GM and Chrysler, and Ford as well, are going to be looking for significant concessions from the Canadian Auto Workers in line with what the UAW is coming up with in the U.S. And in the future, they’re certainly going to be evaluating labour costs between Canada and the U.S.," said Faria. On Tuesday, GM and Chrysler asked for $21.6 billion US in additional aid from Washington. GM, which had previously received $13.4 billion, asked for an additional $16.6 billion, bringing its total to $30 billion. Chrysler, which had secured $4 billion in December, asked for $5 billion more. Both companies are also cutting 50,000 jobs in an effort to turn operations around. Ford has said it will not likely need immediate assistance. North American automakers are suffering from their slowest sales in 26 years and dwindling operating cash. Ontario Premier Dalton McGuinty said earlier his province won't put a limit on how much it's willing to spend on a bailout until it knows how many jobs will be affected by the automakers' proposals.